Step 1: Cut a piece of unpeeled contact paper and tape it clear side up onto the table or use a clipboard to help minimize the paper moving around. 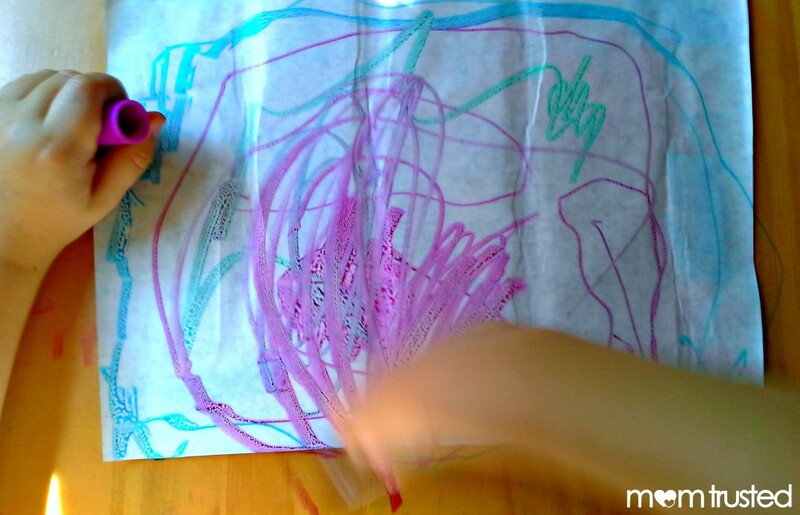 Step 2: Let your little Picasso go to work drawing and doodling with the markers on the contact paper. 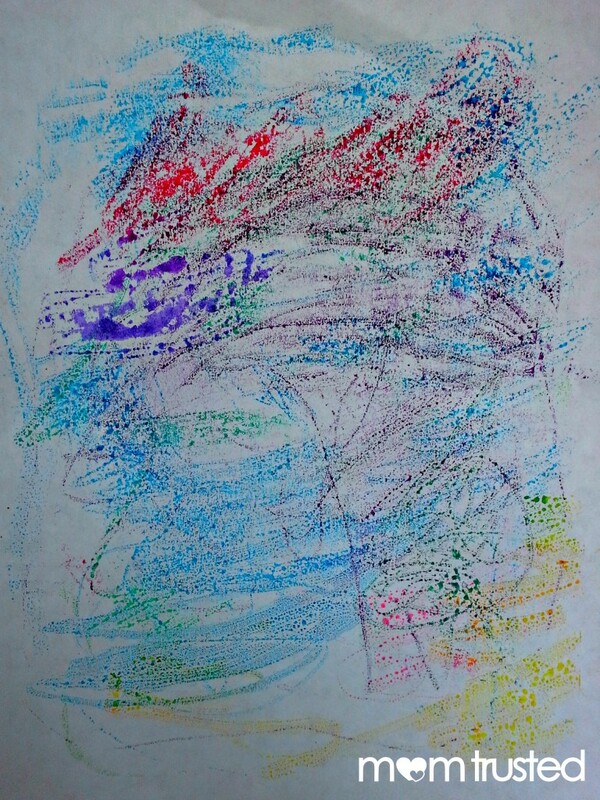 Step 3: Place plain, white paper on top of drawing. 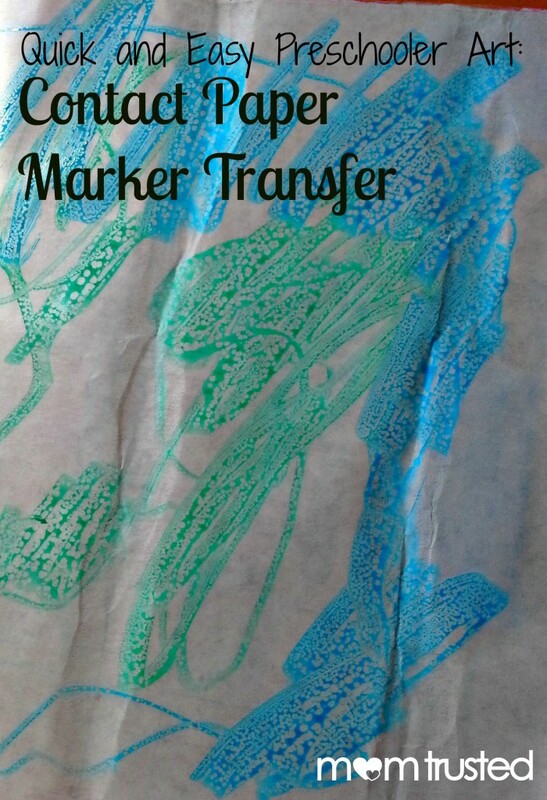 Rub to ensure transfer of marker onto paper. TADA! 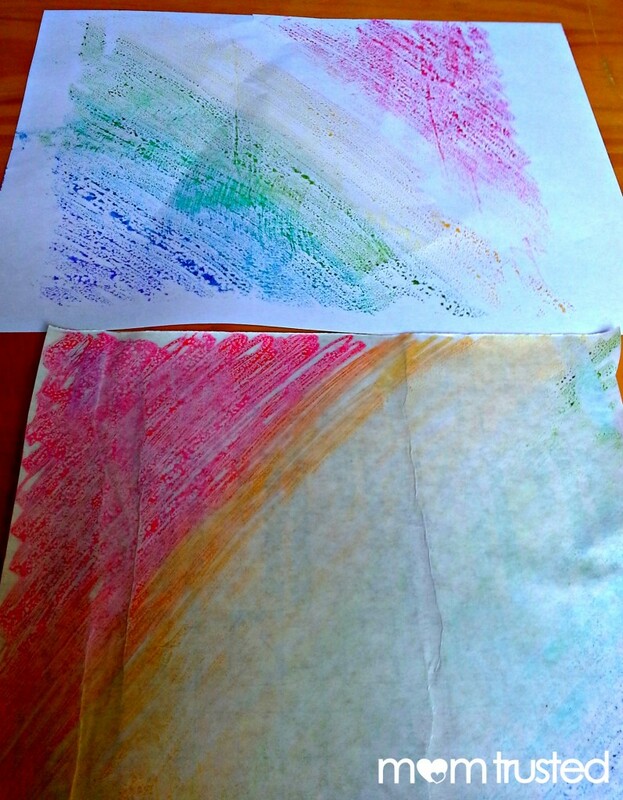 Now your little artist has made a colorful and unique picture by transferring the picture from the contact paper onto the white paper. Step 4: Wipe off with wet rag or cloth, dry, and reuse over and over!